 TROPICAL FRUIT: Top up your energy with the unique flavour of sunshine and tropical fruit! FAST AND BALANCED FOOD: practical when you’re busy and ready to drink whenever you need it. 400 kcal in one bottle: That means it contains 20 % of the daily nutritional requirements! PERFECT BREAKFAST MEAL: Mana Drink can replace any of your daily meals. It can be a delicious breakfast, a healthy snack, a fast lunch or a light dinner. It’s a simple way to have good food whenever you want. MANA is a delicious and nutritionally balanced food, which is suitable for any healthy adult who cares about his or her body but doesn’t want to spend too much time preparing food. Our immediate mission is to change the production, storage and consumption of food. Beyond that, we aim to change the thinking around nourishment. Following our very popular powdered MANA, let us introduce our new ready-to-eat product, MANA DRINK. One 330 ml beverage contains 400 kcal of nutritionally balanced energy and covers 20% of your daily needs. Just shake it, open it and enjoy this delicious drink. MANA is designed in a lab, based on more than 44 clinical studies, and is produced using the latest technology. It could be said that MANA is a food of the future that you can enjoy now. Thanks to the newest technology, we can guarantee a one year shelf-life for our products without the necessity of refrigeration or adding stabilizing agents. 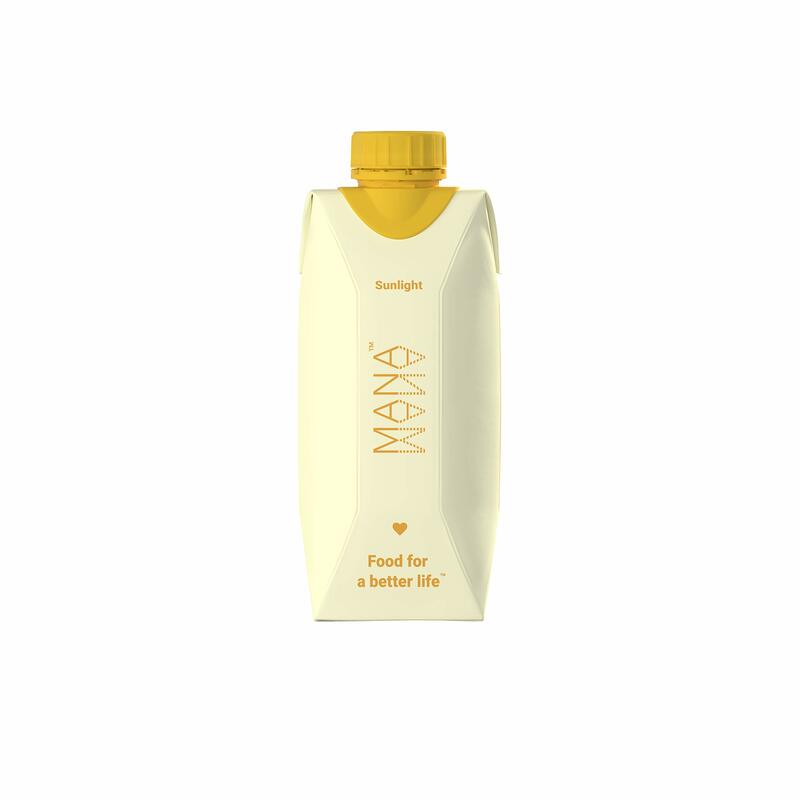 MANA is lactose-free, contains no animal products and is suitable for vegans. If you were looking for that delicious, balanced food, which saves you time and enables you to be informed about the consumed nutritional content, you have already found it. Enjoy MANA as part of your varied and balanced diet and healthy lifestyle. MANA is suitable for all healthy adults. 100% VEGAN: An all-natural, plant-based food drink providing all the nutrients your body needs, incl. 21g of protein and 27 vitamins and minerals. CLINICALLY PROVEN: have conducted more than 44 clinical studies related to our ingredients and 2 studies to our drink. Our formula is based on the recommended daily intake levels from both EFSA and WHO.